Josh Balk, VP of Farm Animal Protection at H.S.U.S. Filled with optimism and hope, Josh Balk, V.P. of Farm Animal Protection at the Humane Society of the United States explains why the future looks bright for animals. When I booked Josh Balk for an interview on Awesome Vegans, he said, “Ok, but I want to do the interview in your yard.” From that point on I knew it would be a special interview. I made one of my favorite asparagus dishes, and I set us up in the backyard. With the sun on our faces and the birds in the trees, Josh and I discussed how the heck he can be so optimistic! A vegan for almost 20 years, Josh explained that the easiest part of his job is to get people to care about animals. He says, regardless of what political party, they do care about animals. His job is to give them the possibility to put that animal interest into action when they vote. Best said in his own words, here is that snippet from our larger interview. Further, Josh and I discuss how helping animals is the one area of our lives where we are empowered every day. Three times a day, in fact. In Josh’s opinion, if you give people the chance they will show up for animals which is why his latest project of getting people to VOTE YES on #12 in CALIFORNIA is incredibly important. 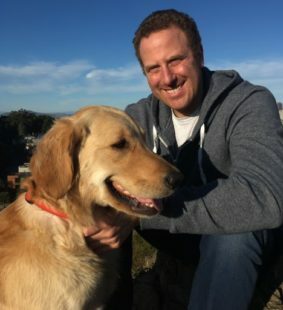 Be sure to listen in to this full interview with Josh Balk, so you can learn what you can do, simply, easily, and every day for animals. And vote yes on #12!